Once again the time has flown by and Christmas is just days away! This year has flown by for me. Time seems to speed up when your kids become teenagers. (I’m trying to hold onto to every scary minute 😉 With the time passing so quickly it’s tough to remember everyone you might want to give a gift to from the hairdresser, to your neighbor, to the host/ hostess who extends a last minute invitation. So, below are a few last minute gift ideas you can find at Sea Green Designs, and if you’re not in the Hamptons, you most likely can find something similar near you. Mer Sea candles have been a favorite of mine for a few years now. They make a lovely gift with the agate candle coaster. Made in America and all about the coastal lifestyle, these candles make everyone happy. Can’t find these near you? You can always put together a gift box with a candle and coaster to add a special touch. A reclaimed wood trivet makes a great gift for a friend who is a foodie. These are available in many shapes and sizes, too. So, you can choose one that is just right for the person your giving it to. Serving trays are always great gift ideas. 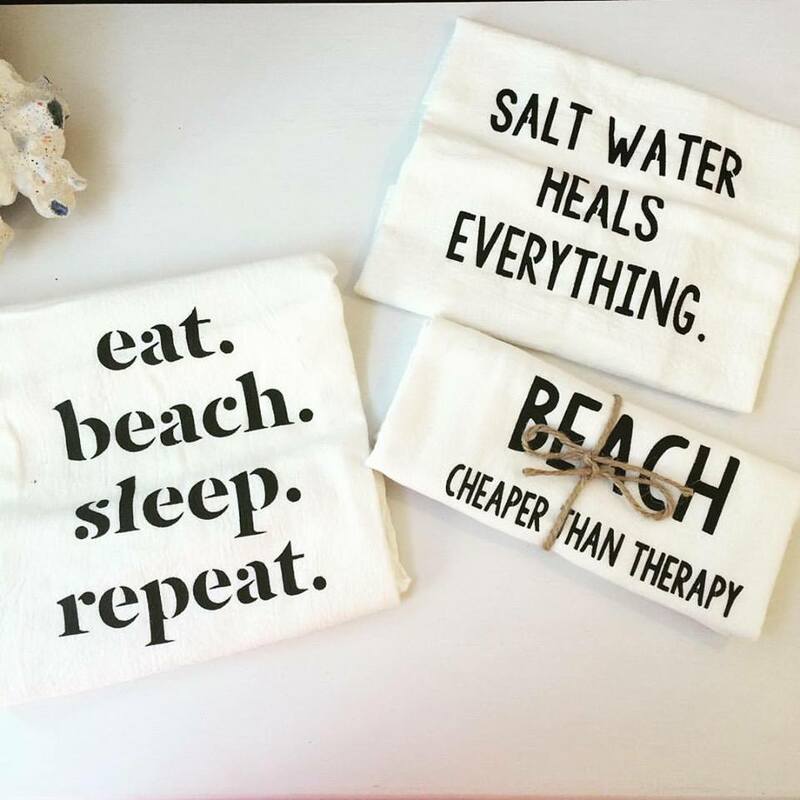 A few of these whimsical flour sack towels are great gifts for those who love the beach. 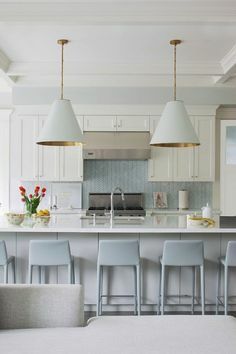 Fun in a kitchen or powder room, the quotes remind us of the pleasures of coastal living. Putting together a few tea towels wrapped in ribbon would make a great gift anytime of year. Above are two great gift ideas. 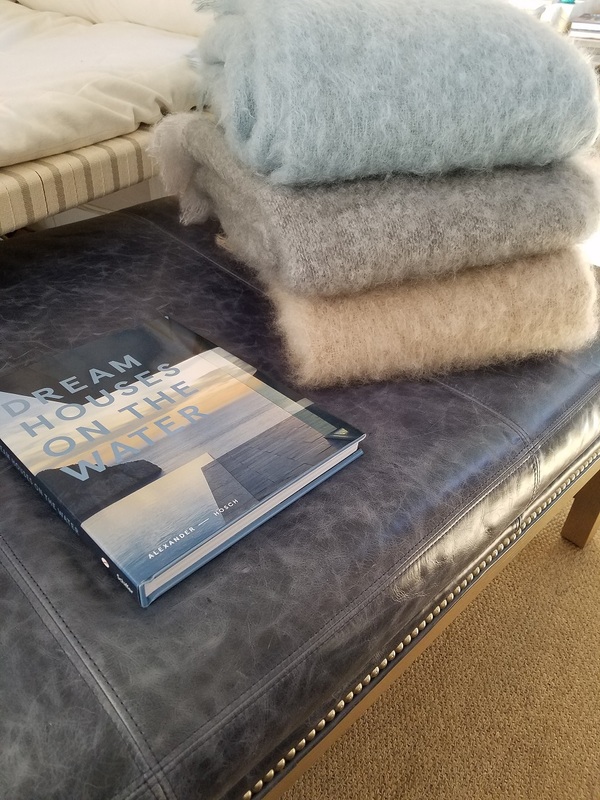 A coffee table book to inspire and a luxurious mohair throw. The mohair throw is available in over 20 colors so you can gift just the right one. And, I can tell you from a recent shopping tip f my own, there are throws everywhere! So it’s a great last minute gift idea. 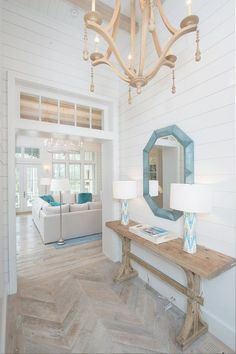 We have many coffee table books in our shop about coastal living and interior design, but you can find beautiful books on whatever subject your special someone is interested in wherever you are. 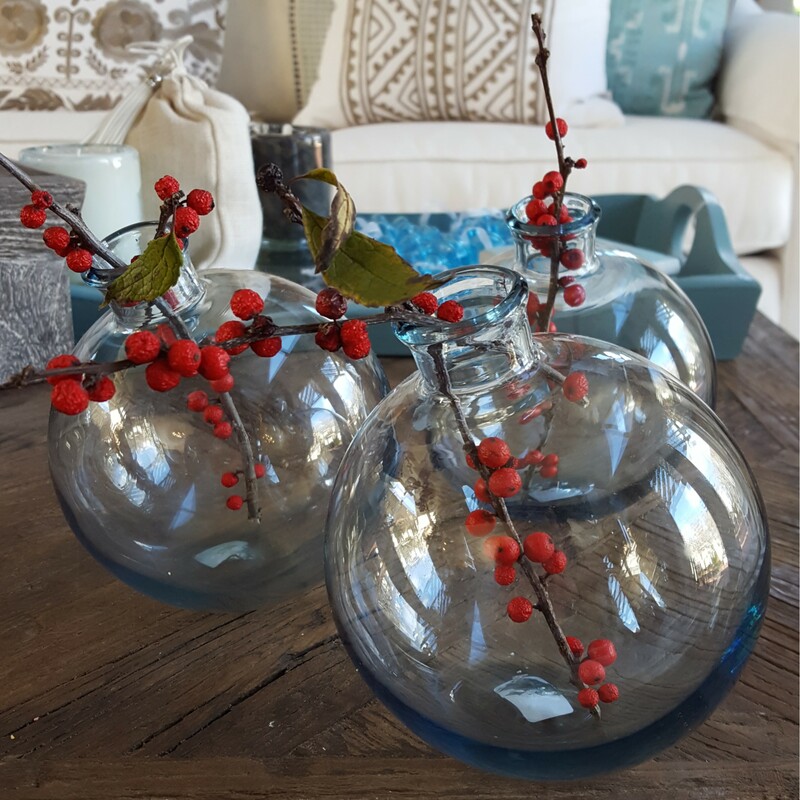 The recycled glass sphere vase makes a versatile gift. Shown here as a vase, it can also be used as a nut or candy dispenser. 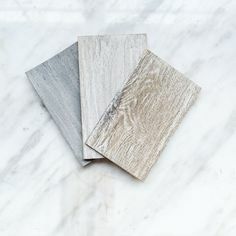 These are nice in a group or as a single. Put together just the right amount for the gift you want to give. Food is always a great gift and easy to put together. 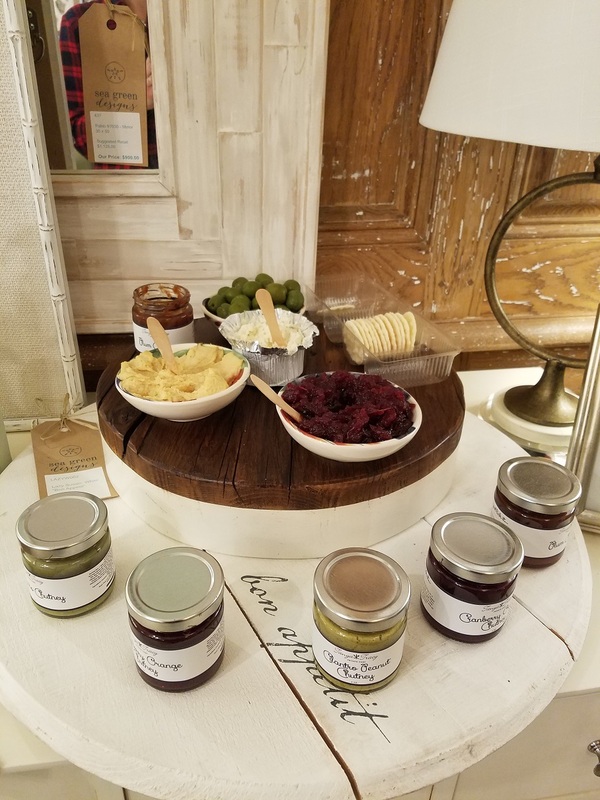 If you’re in our neck of the woods, you can stop by this Saturday, December 23rd, 2017 from 2pm-6pm and meet chef Tanya Tracy who will be our store with her chutneys and cookies. With the success of our Holiday Open House on Small Business Saturday, Tanya and I decided it would be fun to do again just before the Christmas! 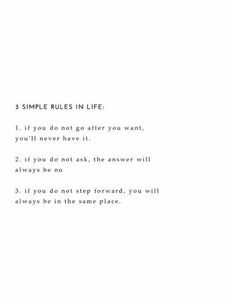 Hopefully this post gave you a little inspiration so that you’re not overwhelmed with all those last minute gifts you need to get and give!